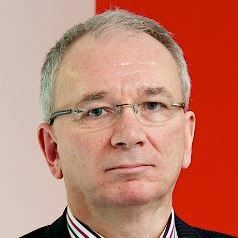 Geraint Johnes is Professor of Economics at Lancaster University Management School. He was previously Lecturer, Senior Lecturer and Reader in Economics at Lancaster, and has spent periods as a visitor to institutions in the USA (Dartmouth College, Lehigh University) and Australia (Australian National University). From 2014-15, he served as Director of Lancaster University's Work Foundation - a London based think-tank. He is an associate fellow of SKOPE at Oxford University and Cardiff University. He has published widely in the area of the economics of education, including papers in the Economic Journal, Oxford Economic Papers and Oxford Bulletin of Economics and Statistics. He has also published in the area of regional economics (with papers in the Journal of Regional Science, Annals of Regional Science andRegional Studies) and labour economics (in journals including Economics Letters, Labour Economics, Public Finance, the Manchester School). He is author of a number of economics textbooks He was founding editor of the journal Education Economics. His work has been funded by the DfES, DTI, Office for National Statistics, British Council, OECD, World Bank, and (under several different programmes) the EU. He won the Economics LTSN award for outstanding teaching in 2003, and Lancaster University's teaching prize in 2006. His teaching and learning innovations include early use of interactive web-based quizzes (from 1997). In 2005, the Guardian newspaper described him as 'one of the world's pioneering academic podcasters'.